Frankly, Kevin should have been more excited for Andy Cohen. Is Archie becoming the villain of his own show? Riverdale seems to be drawing its lines in the sand with not one, but two different “political” races heating up. Marah and Cameron know who they’d endorse, but, frankly, Dial M For Maple has bigger fish to fry. Namely, the shenanigans at the Blossom estate, which leaves the futures of both Cheryl Bombshell and Nana Rose hanging in the balance. And what do we make of Mama Cooper’s heart-to-heart with Betty? Or Chic and Kevin’s insane milk discussion? Plus, a preview of Dial M For Maple’s exciting weekend with the Riverdale gang at PaleyFest. 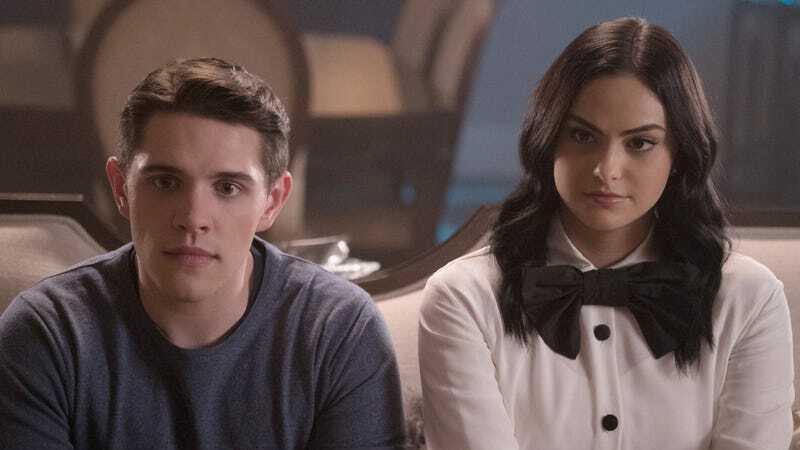 If you’re a Riverdale fan, please give Dial M For Maple a chance. You can subscribe here, or even drop us a review over on Apple Podcasts. Also, we’re always taking comments and questions on Twitter. Just hit up @DialMForMaple, and we’ll see it. For further thoughts on all of the mayhem in Riverdale, check out our colleague LaToya Ferguson’s excellent TV Club reviews. Marah Eakin is The A.V. Club's Senior Editor and Head Of Video And Podcasts. She is also a Cleveland native and heiress to the country's largest collection of antique and unique bedpans and urinals.